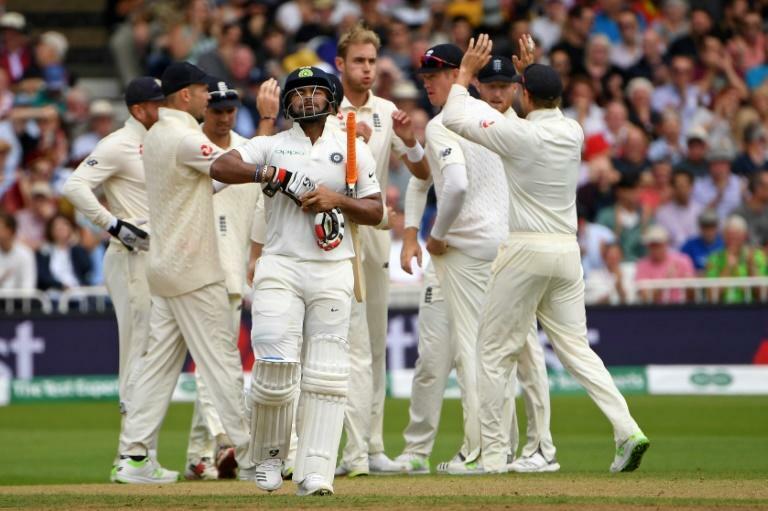 England's Stuart Broad has been fined and disciplined by the International Cricket Council for his send-off of Rishabh Pant during the ongoing third Test against India at Trent Bridge, the global governing body said Tuesday. Broad dismissed debutant wicket-keeper Pant in India's first innings on Sunday and was deemed by umpires Marais Erasmus and Chris Gaffaney to have "walked towards the batsman and spoke in an aggressive manner". Broad admitted breaching the ICC's code of conduct and was fined 15 percent of his match fee by match referee Jeff Crowe.